We will not rent or sell your personal information to third parties for marketing purposes. All information that you provide will be secured with industry standard protocols and technology. MyMedicalForum collects publicly available information about physicians in a database to provide a directory and referral service to other healthcare professionals. This information includes your name, office address, office phone and fax numbers, specialty, and the medical school and training institutions you attended. Almost all doctors, and many other healthcare professionals, are included in our database. If you choose to register and become a User, you will verify that the information that we have collected about you is accurate. The purpose of the MyMedicalForum service is to permit Users to add to the publicly available information about themselves in order to develop, maintain and enhance a network of professional contacts. Users may provide us certain personal information, such as your affiliations and work history, which we collect and publish in order to allow you to enhance your network of contacts. The following fields are required during registration to guarantee the MyMedicalForum network is a useful directory for its members: name, address, specialty, office phone, occupation, email address and password. Physicians are required to additionally enter or confirm medical school, year of graduation and birthday. Most of this information, other than your email address, will already be included in your profile, but we ask that you verify that the information is correct, and update it where necessary. We use your medical school year of graduation and birthday in order to verify that you are a physician. We also give you the option to provide the following information: subspecialty, title/practice, clinical areas of interest, maiden name, languages spoken at your office, and profile photo. Providing such information is completely optional and choosing not to provide this information will not affect your ability to browse the MyMedicalForum directory or use the MyMedicalForum service. All of the information that you voluntarily provide will be included in your profile, which is accessible to anyone browsing the MyMedicalForum directory, except your birth year, year you graduated from medical school, and your email address. Once you have completed the registration process, you may at any time provide additional information to your Profile. Such information includes: medical group, IPA and hospital affiliations, internship, residency program, fellowships, work history, presentations, publications, education, professional interests, memberships, and board certifications. 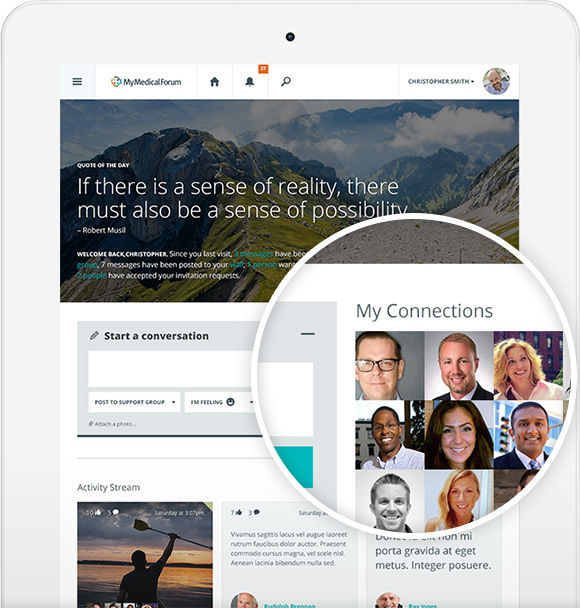 Providing additional information is entirely optional, but enables you to better identify yourself and find new opportunities in the MyMedicalForum system to build and leverage your professional network. All of the information that you voluntarily provide will be published in your profile, which is accessible to anyone browsing the MyMedicalForum directory, except the year(s) you graduated from your internship, residency and/or fellowship programs. Any information you provide to us, whether during the registration process or as an update to your Profile, may be used in the same manner and extent to which other information is permitted to be used hereunder, including for the purpose of serving advertisements through the service. If you choose, you may fill out a private profile on MyMedicalForum. The private profile can consist of back line, mobile phone, home phone, other phone, pager, inpatient/admit number, email address or other private note. Your private profile is visible only to those confirmed colleagues with whom you select to share it. If you wish to invite your colleagues to join MyMedicalForum, you can use our service to fax invitations to their offices. In this case, no additional information about you or your colleagues is collected. Alternatively, you may enter their names and email addresses, which MyMedicalForum will use to send your invitation including a message that you write. The names and email addresses of people that you invite will be used only to send your invitation and reminders. MyMedicalForum may collect information through our website or through Customer Support in order to, among other things, accurately categorize and respond to your inquiry and deliver appropriate service levels. MyMedicalForum is an online service dedicated to helping medical professionals more effectively connect with one another through smart phones and tablets. The information you choose to provide on our service is used to help you describe yourself to other Users. Other information, that does not personally identify you as an individual, is collected by MyMedicalForum from Users (such as, for example, patterns of utilization) and is exclusively owned by MyMedicalForum. This information can be utilized by MyMedicalForum in such manner as MyMedicalForum, in its sole discretion, deems appropriate. MyMedicalForum takes the privacy of Users very seriously. We do not sell, rent, or otherwise provide your private information to third parties for marketing or other purposes. We may provide aggregated anonymous data about the usage of our services to third parties for such purposes as we deem, in our sole discretion, to be appropriate, including to prospective investors in MyMedicalForum. We may segment our Users by specialty or geographic location. We may aggregate or provide information from your public profile. If you would like to be excluded from the aggregated research or products based upon aggregated data about our Users' activities on the site, please email contact@mymedicalforum.com. As a User, you may receive requests to participate in market research including polls and surveys submitted by other MyMedicalForum members. If you participate in surveys and polls offered through our website, the information you provide may be visible to others using the MyMedicalForum website. You may opt-out of participating by emailing contact@mymedicalforum.com to stop receiving these inquiries and requests. Communications you initiate through MyMedicalForum, such as a colleague invitation sent to a non-User, will list your name in the message, along with your current office address and phone/fax numbers. No other contact information will be included in the message. MyMedicalForum members may communicate with one another using the MyMedicalForum Doctor ChatsTM text feature. Doctor ChatsTM messages may only be initiated between two users who have confirmed a colleague relationship within the MyMedicalForum network. In the case where a User has initiated a group message to two or more of his or her colleagues, recipients of this group message may "reply all" to the recipients of this group message, even though they are not all colleagues. This is the only instance where a User may receive a Doctor ChatsTM from a non-colleague. Doctor ChatsTM messages may be sent Secure or non-Secure. Secure messages require recipients to confirm their identity by entering their PIN code prior to viewing. Non-Secure messages may be read by anyone with access to a User's mobile device. You can disable Doctor ChatsTM at any time in Settings. You can disable "push" notifications of new Doctor ChatsTM messages at any time through the settings on your iPhone. It is possible that we may need to disclose personal information when required by law, such as responses to civil or criminal subpoenas, or other requests by law enforcement personnel. We will disclose such information when we have a good-faith belief that it is necessary to comply with a court order, ongoing judicial proceeding, subpoena, or other legal process or request to MyMedicalForum brought in any country throughout the world, or to exercise our legal rights or defend against legal claims. We may also disclose your personal and other information you provide, to another third party as part of a reorganization or a sale of the assets of MyMedicalForum. Any third party to which we transfer or sell MyMedicalForum's assets will have the right to continue to use the personal and other information that you provide to us. You can review the personal information you provided us and make any desired changes to the information you publish, or to the settings for your MyMedicalForum account, including your email and contact preferences, at any time by emailing contact@mymedicalforum.com. You can also make these changes on the MyMedicalForum website by updating your Profile. Please be aware that even after your request for a change is processed, MyMedicalForum may, for a time, retain residual information about you in its backup and/or archival copies of its database. You can also close your account at any time by emailing contact@mymedicalforum.com. If you close your MyMedicalForum account, we will remove all of the information that you have provided to MyMedicalForum from our publicly viewable database, as well as any private profile information that you have stored with us. We will retain the publicly available data in the database, including all of the information about you that was available on our database prior to your joining the MyMedicalForum network. We may also retain certain data contributed by you if we believe it may be necessary to prevent fraud or future abuse, or for legitimate business purposes, such as analysis of aggregated, non-personally identifiable data, account recovery, or if required by law. To request that we close your account and remove your information from the MyMedicalForum website, please send your request to contact@mymedicalforum.com. Please send your request using an email account that you have registered with MyMedicalForum under your name. You will receive a response within five business days of its receipt. You must not download or otherwise disseminate any information which may be deemed to be injurious, defamatory, violent, offensive, racist, sexist or xenophobic, or which may otherwise violate the purpose and spirit of MyMedicalForum and its community of Users. You must not provide information to MyMedicalForum and /or other Users which you believe might be injurious or detrimental to your person, professional or social status. Any violation of these guidelines may lead to the restriction, suspension or termination of your account by MyMedicalForum, as we take these principles seriously and consider them to be the basis on which our Users adhere to the MyMedicalForum website and the services which it offers. If Users have questions or concerns regarding this statement, you may contact MyMedicalForum by email at contact@mymedicalforum.com. MyMedicalForum reserves the right to modify this privacy statement at any time, so please review it frequently. If we make material changes to this policy, we will notify you here, by email, or by means of a notice on our home page. By continuing to use the MyMedicalForum service after notice of changes have been sent to you or published on the MyMedicalForum website, you are consenting to the changes. If you use the MyMedicalForum service after notice of changes have been sent to you or published on our site, you hereby provide your consent to the changed practices. In order to secure your personal information, access to your data on MyMedicalForum is password-protected. It is your responsibility to protect the security of your login information. Engage and empower patients with personalized health information, custom content and applications that promote collaboration between family, friends and healthcare providers. Connect patients with treatment information, support groups and medical professionals all in one location — without security or compatibility issues. Enable patients to connect with medical professionals, family, friends and others with like conditions. Provide targeted treatment information, wellness tips, clinical trials and other health information to patients when and where it’s needed. Our platform uses the latest security technologies and HIPAA compliance standards to keep your messages and critical data secure. No IT department required. The platform is device agnostic and built specifically for smart phones, tablets and desktops. needed to support their health. Contact us today to learn how My Medical Forum can transform how you support and engage your patients.